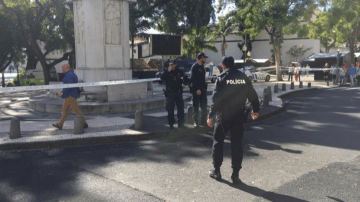 A suspicious package on Avenida Zarco can be detonated at any time. At the moment, Funchal is practically stopped in terms of traffic, with the two fire brigades near the place. The Public Security Police closed several roads and there are two ambulances prepared for the injured if the need to detonate the package is verified. At the moment, the teams study this hypothesis. However, the number of curious is increasing. Locals and tourists are wondering about appliance size that already involves more than 30 police elements. The PSP Rapid Intervention Team and Special Police Unit are on the ground as well as an explosives inactivation team.